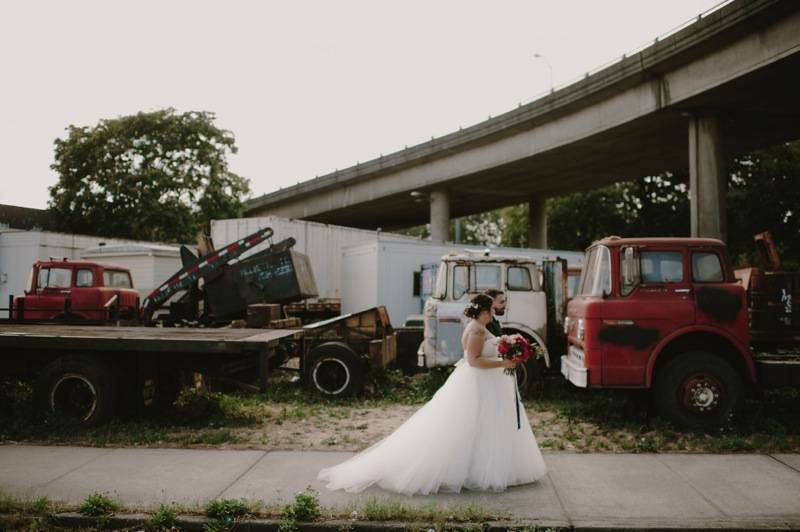 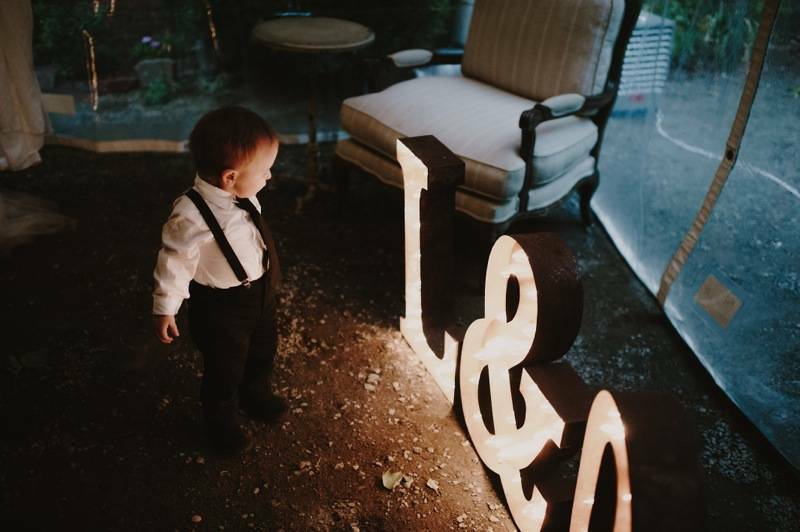 Ornella and Lucas’ wedding this August at The Corson Building was definitely one of my favorite weddings to date. 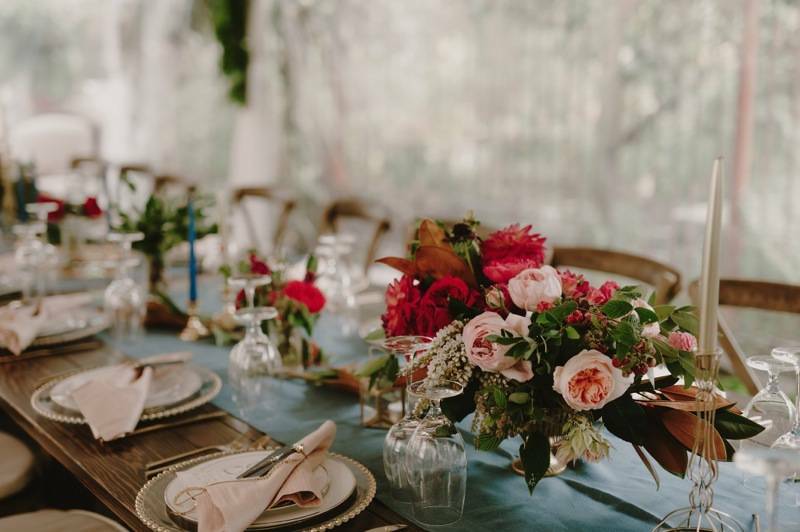 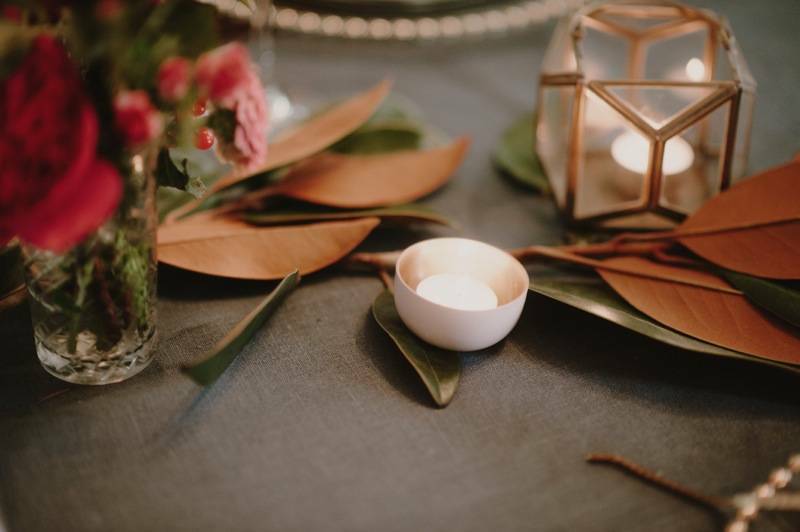 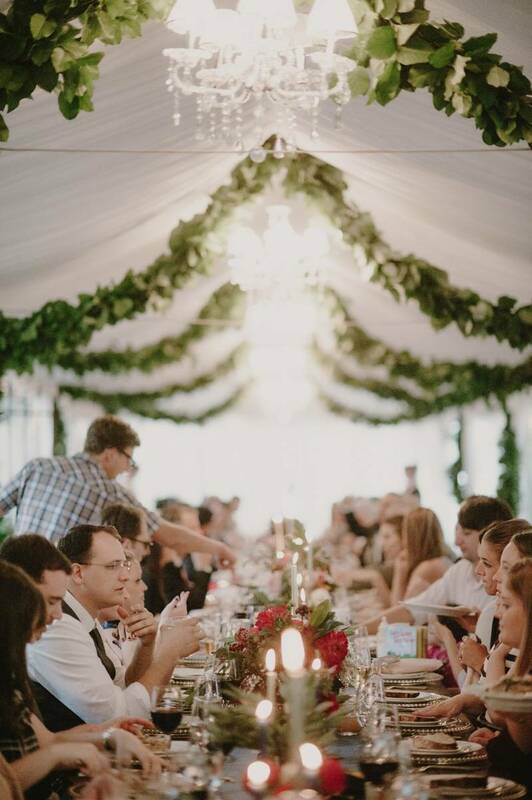 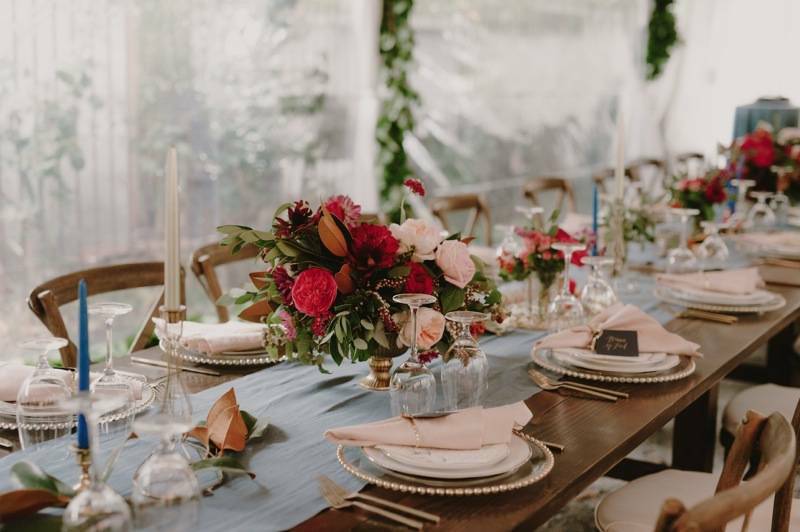 Ornella wanted an intimate, stylish and fun dinner party for 60 of their closest friends and family with no detail too small to be overlooked and an overall feeling of modern, casual elegance. 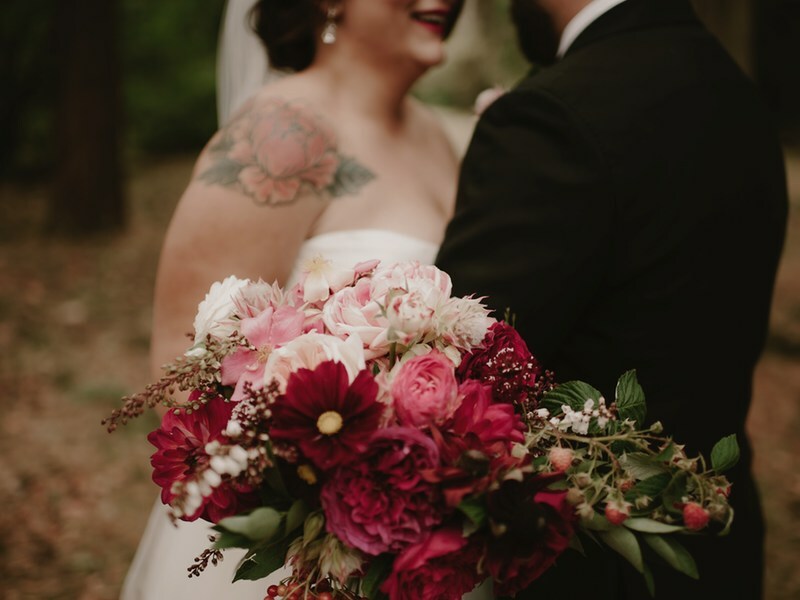 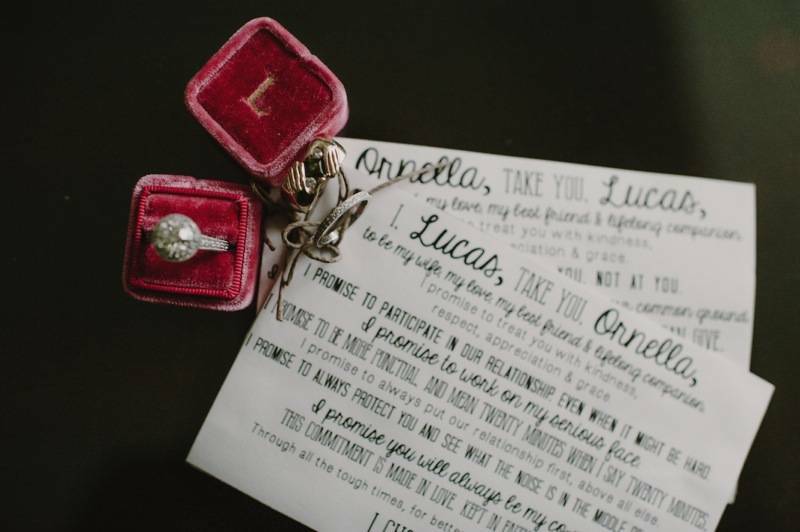 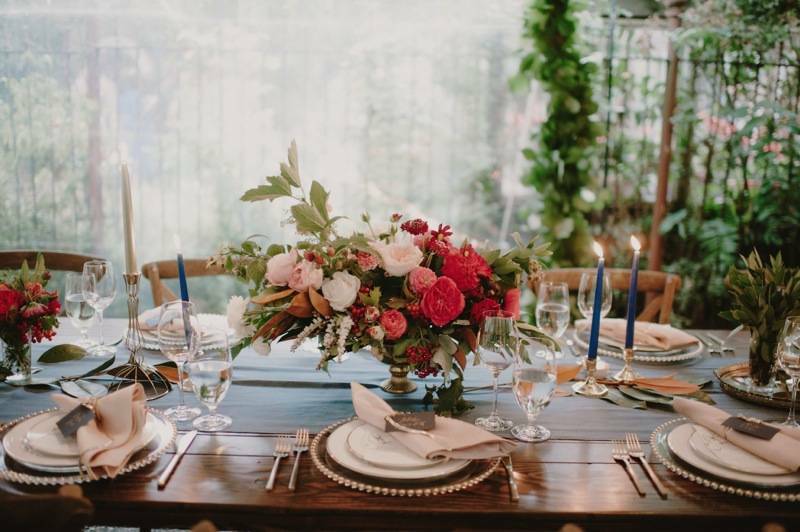 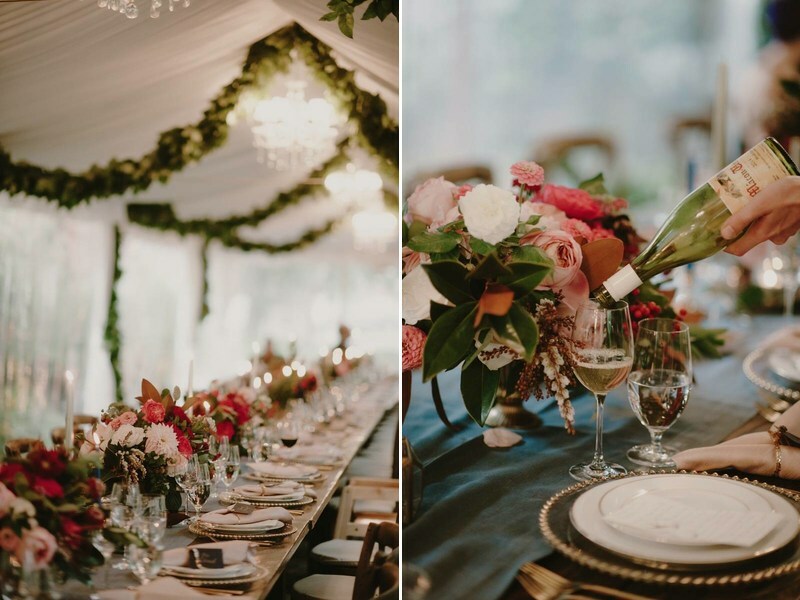 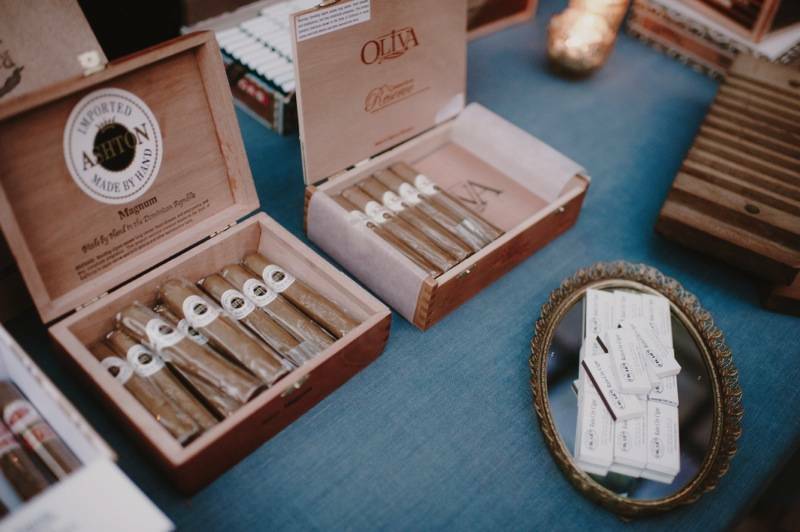 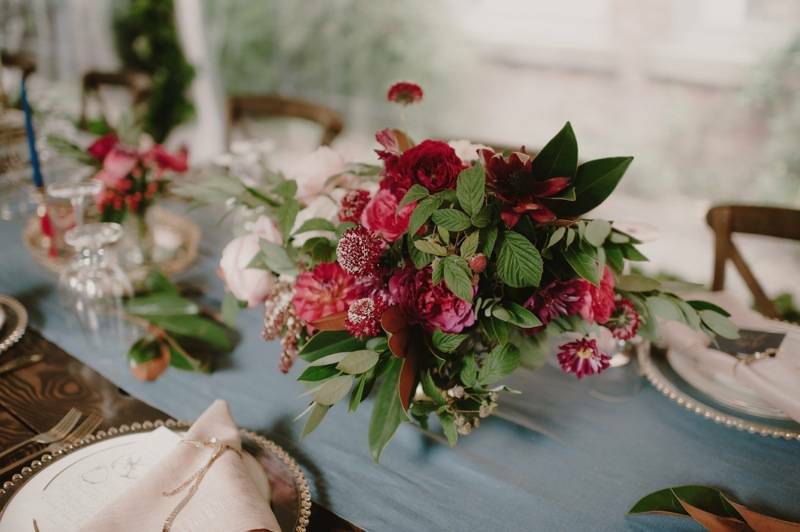 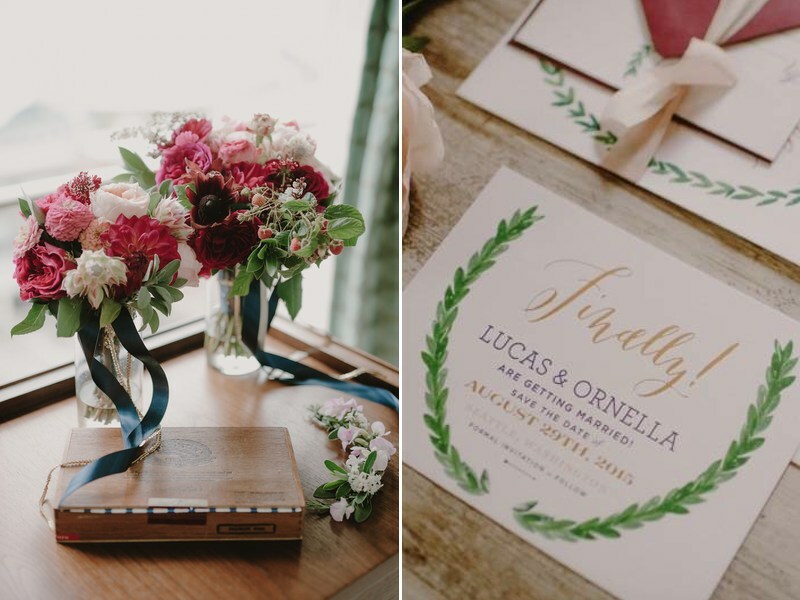 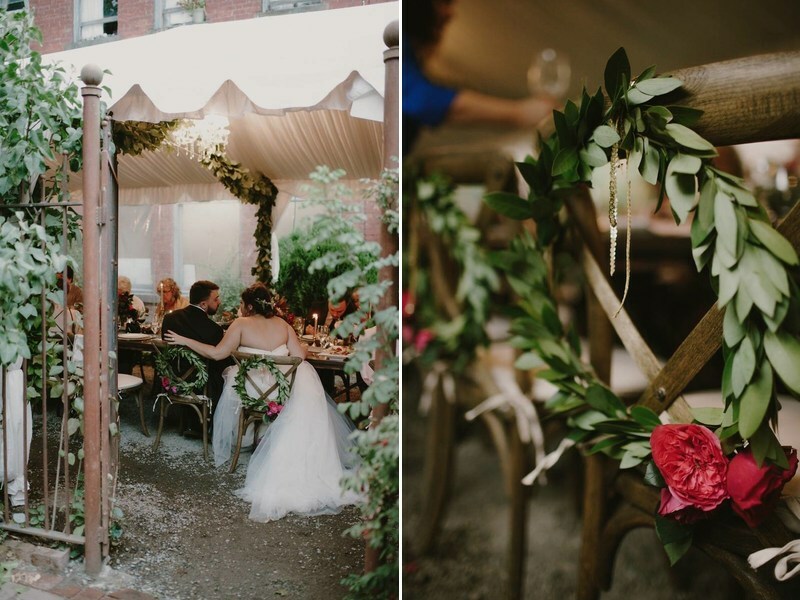 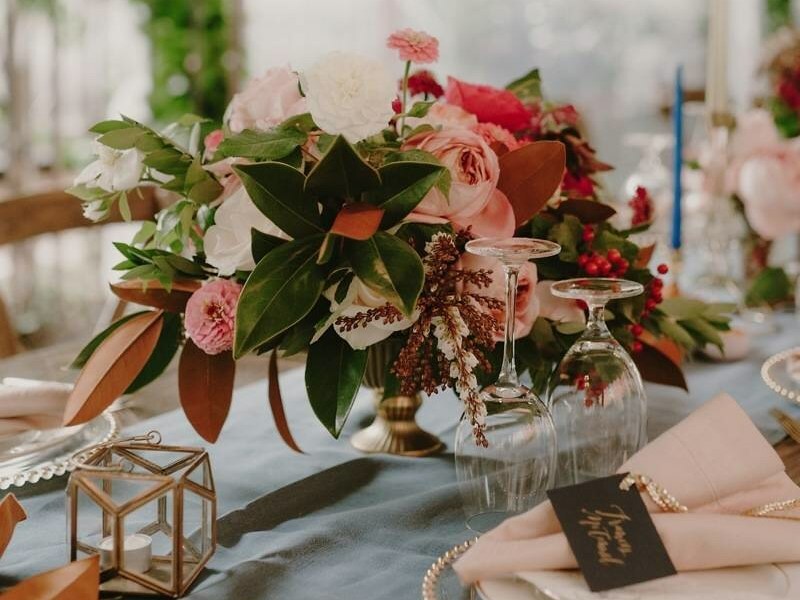 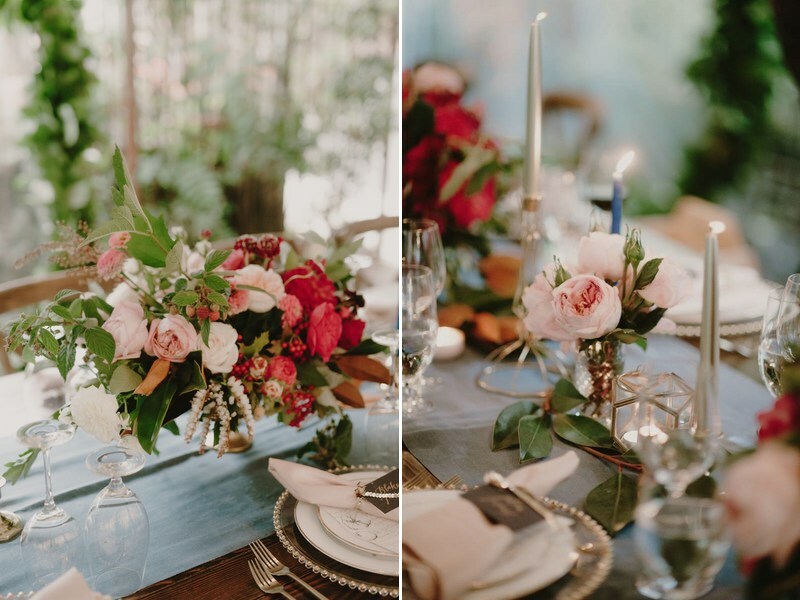 Together, she and I chose a bold and vibrant color scheme of navy, burgundy, blush and gold while her planner, Katie Aweida of Wonderstruck Event Design, brought in fabulous bulb-lit initials, romantic soft seating, sweet cashmere wraps and a stacked cigar bar. 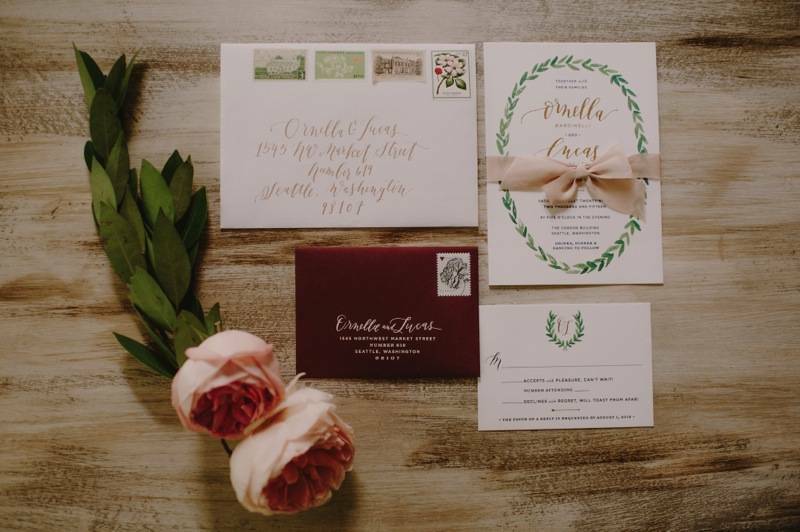 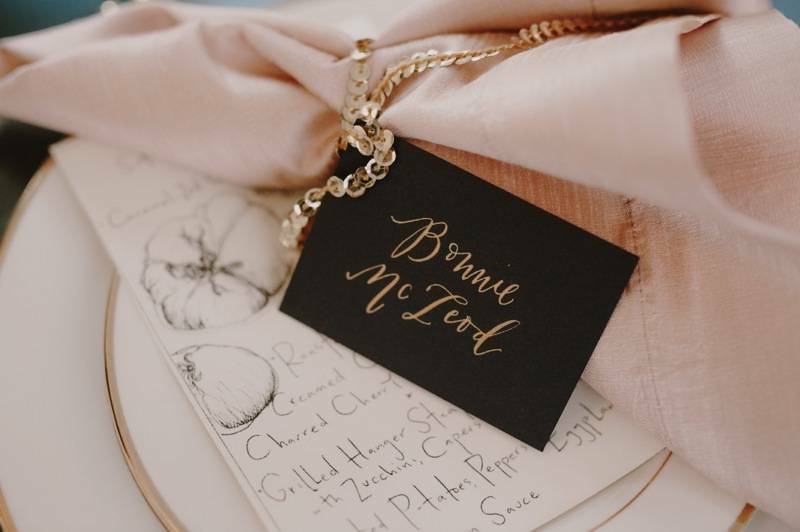 We worked with Sally Balt at La Happy to create a stunning burgundy and gold foil invitation suite including gold and navy place cards in Sally’s signature calligraphy. 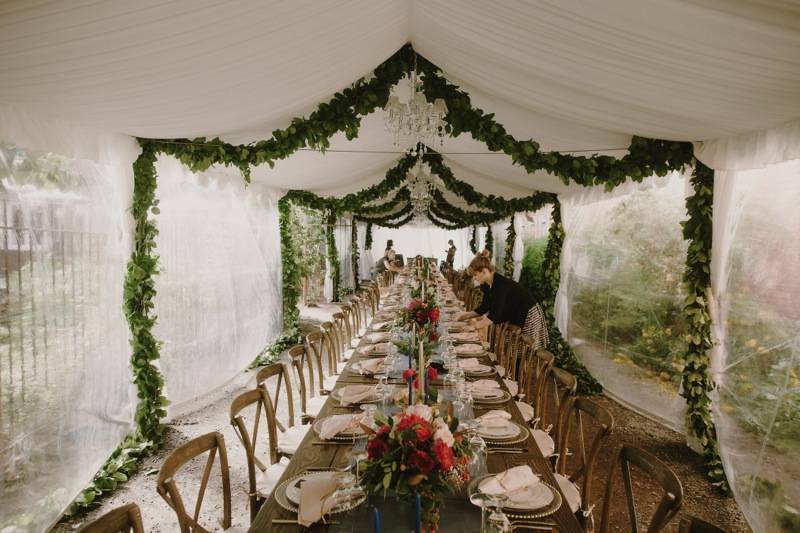 We draped the clear top tent with gorgeous garlands and created a hanging ombre installation for the ceremony and dessert display. 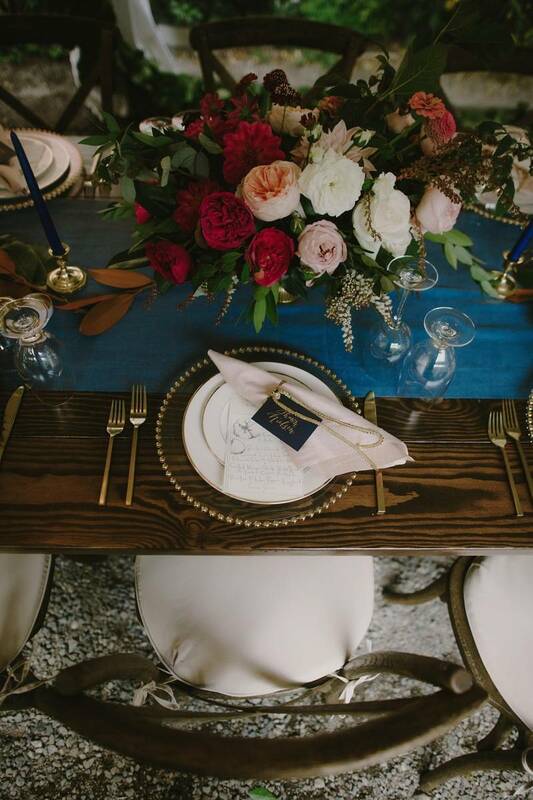 The navy linen runners contrasted with a dupioni silk blush napkin and strings of gold sequins were an unexpected touch in place of ribbon. 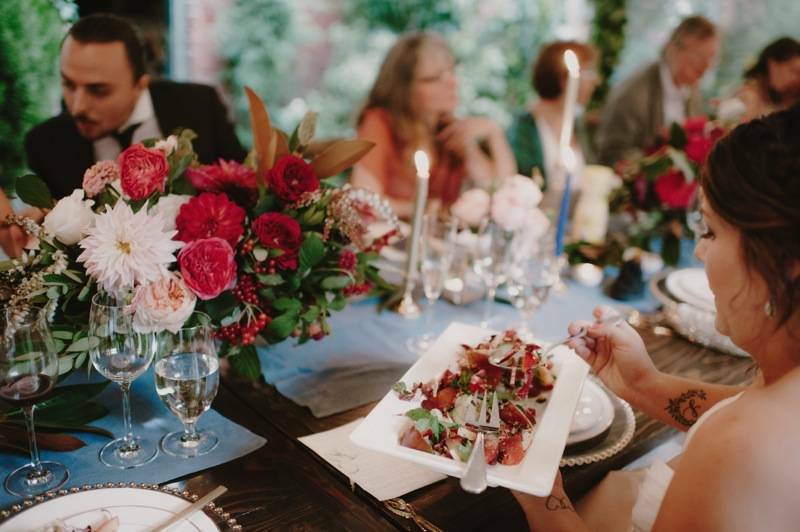 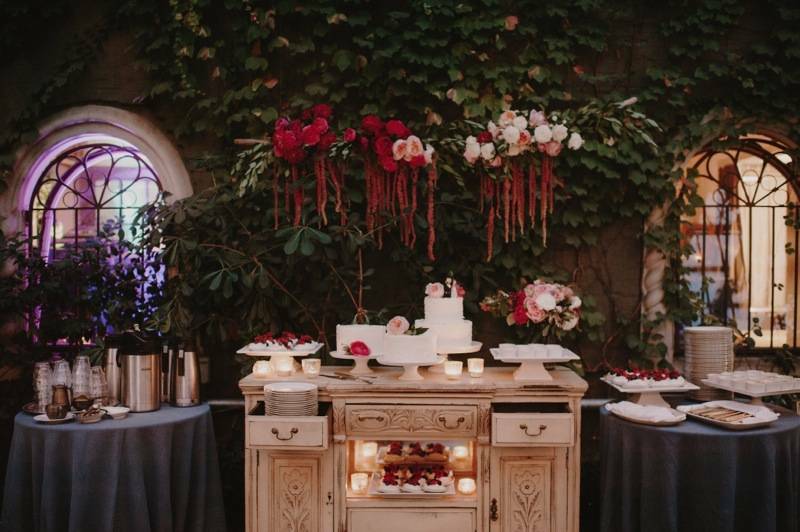 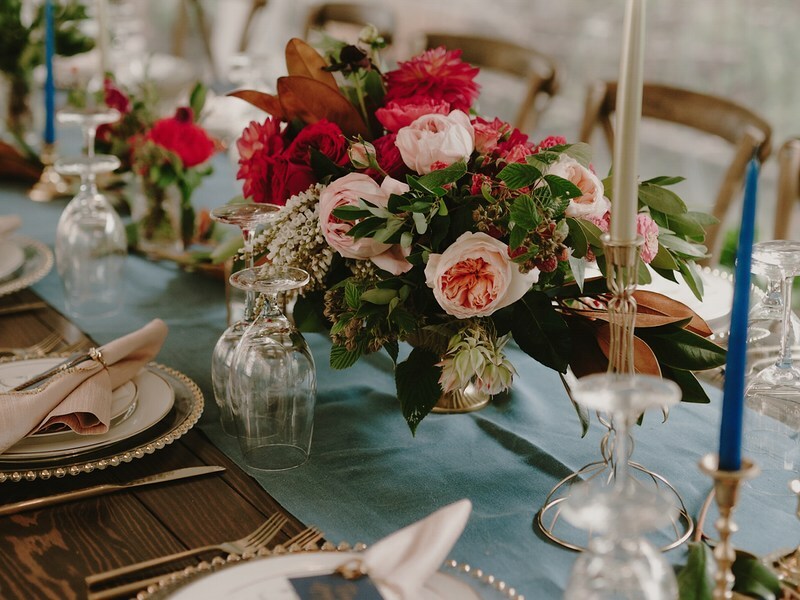 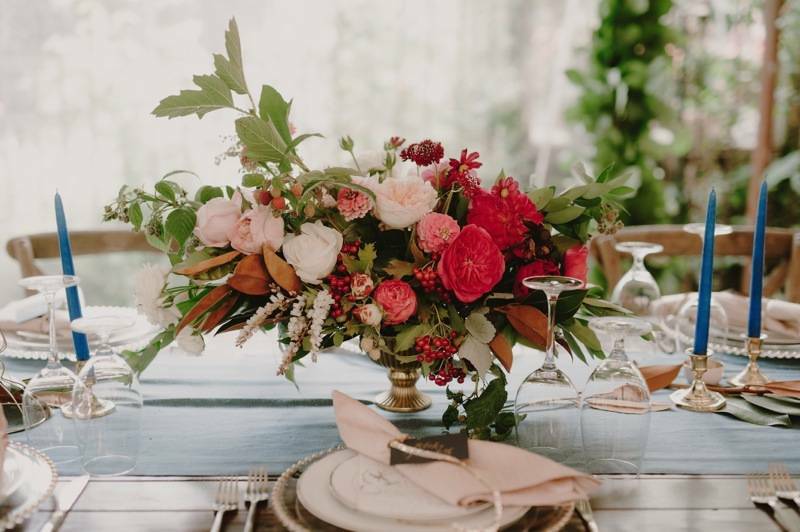 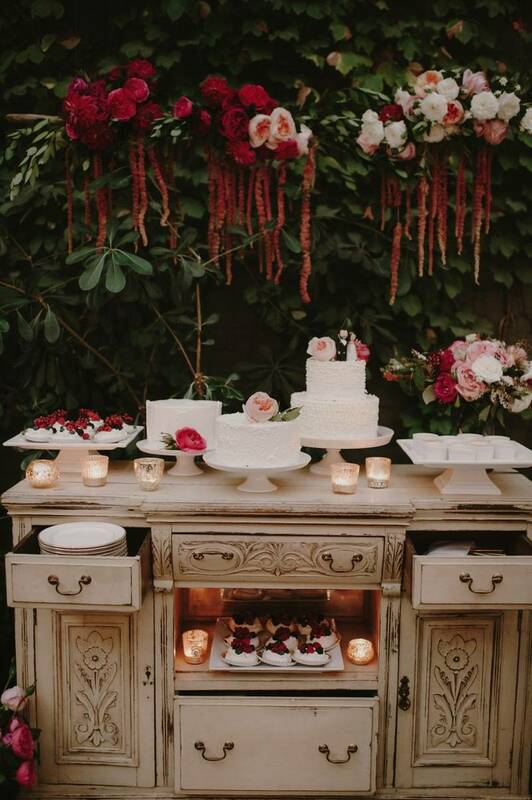 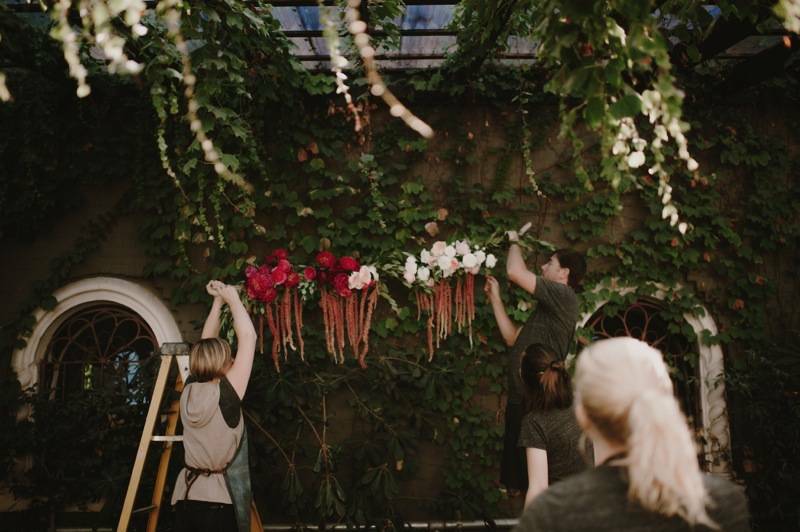 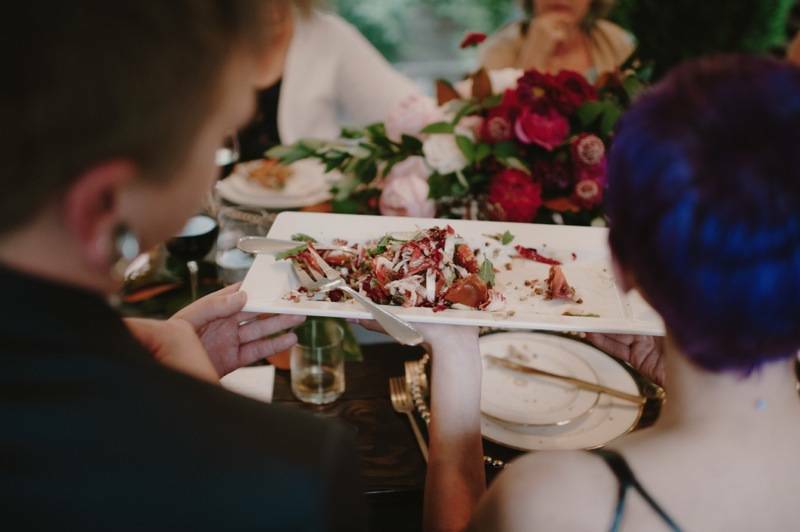 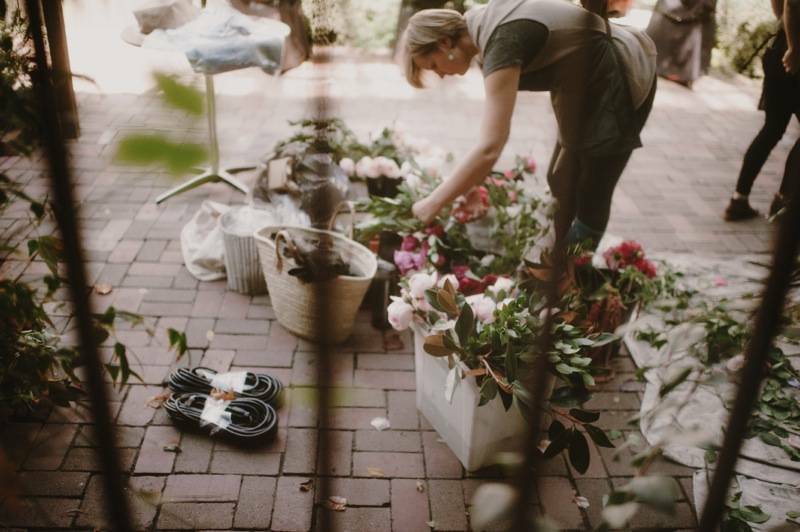 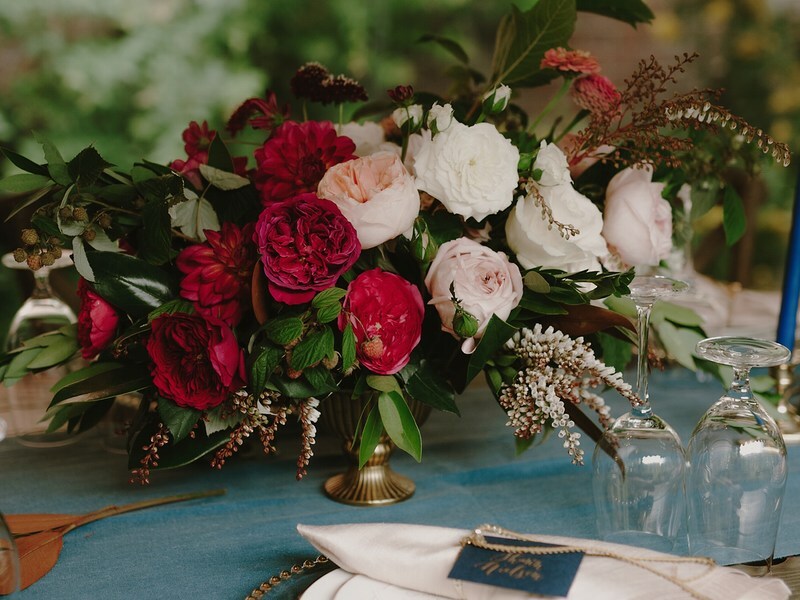 We created ombre burgundy-palest blush arrangements overflowing with garden roses, herbs, bay leaves and raspberries – a nod to the couples’ family restaurants (Un Bien ) and history in the Seattle food world. 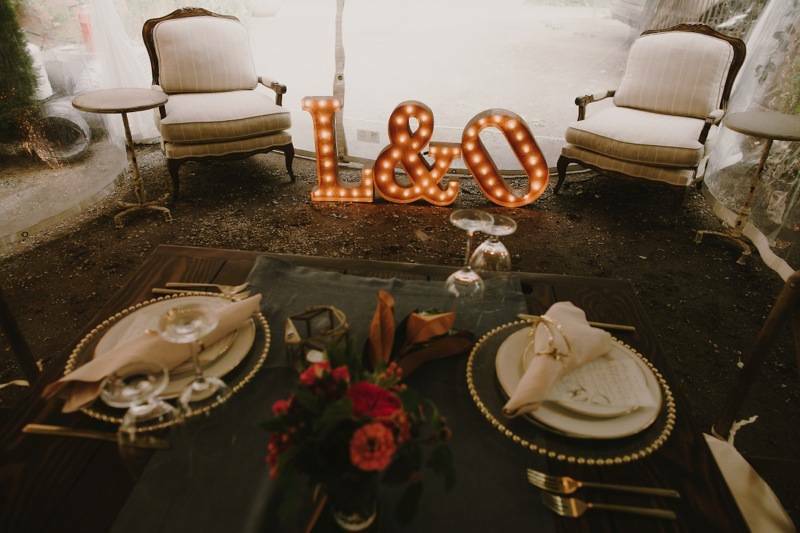 We contested an enormous storm the day of the wedding with the tent threatening to take off in the gale force winds and the tent sides coming undone and knocking over the chairs and tabletop decor. 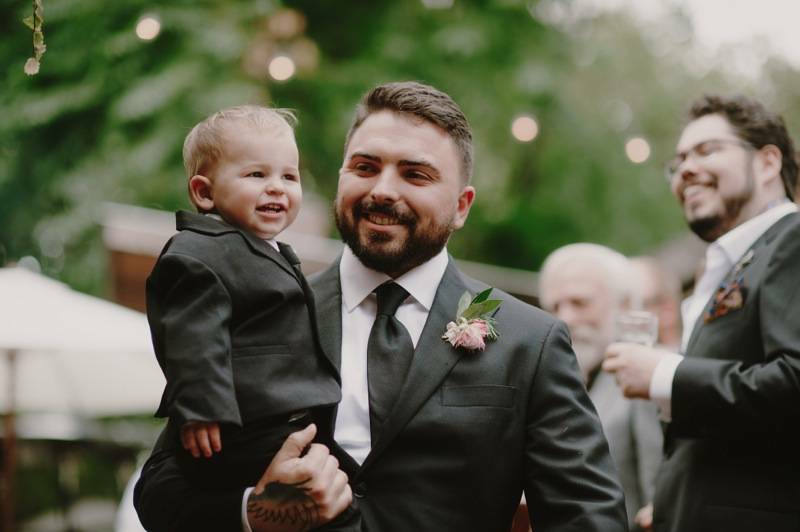 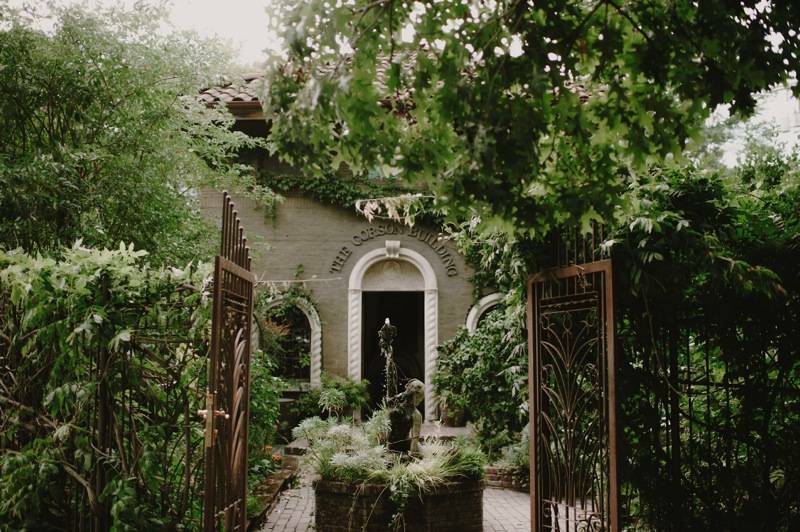 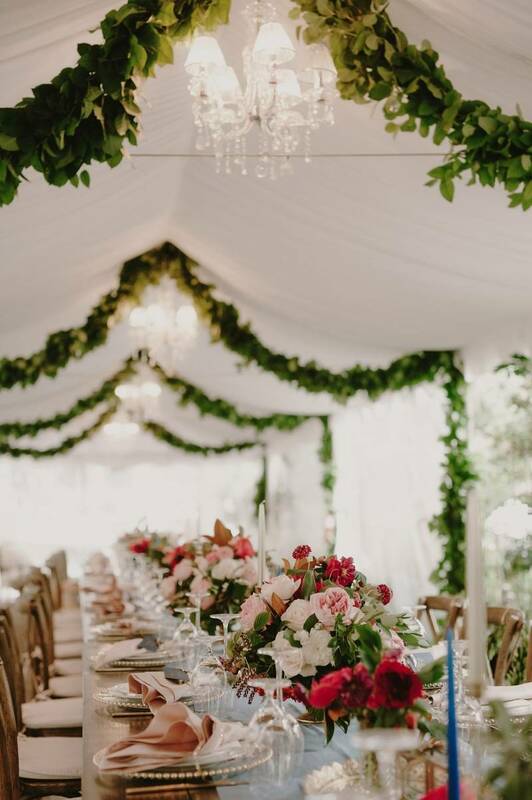 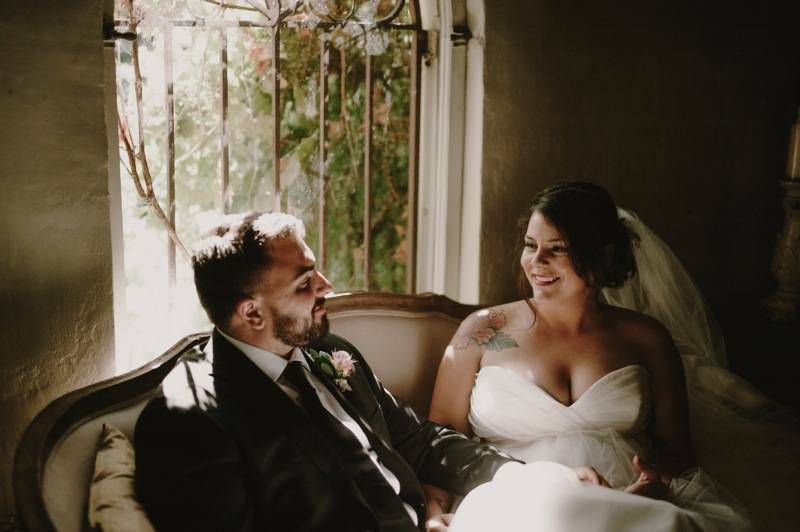 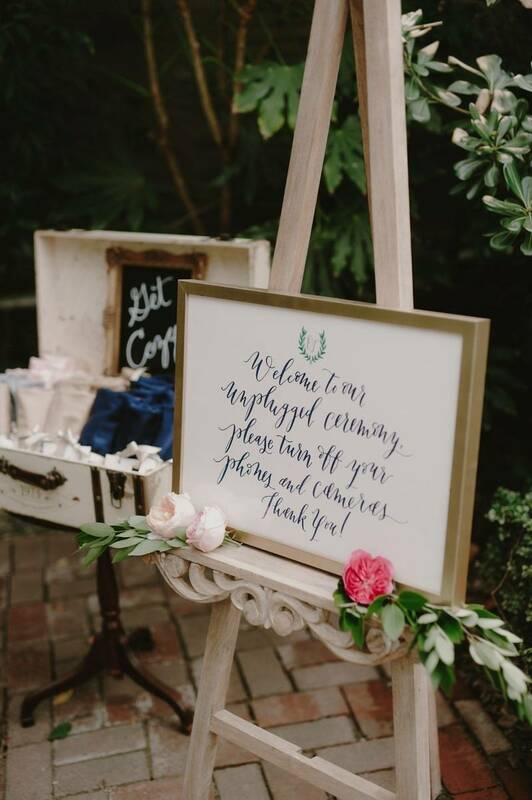 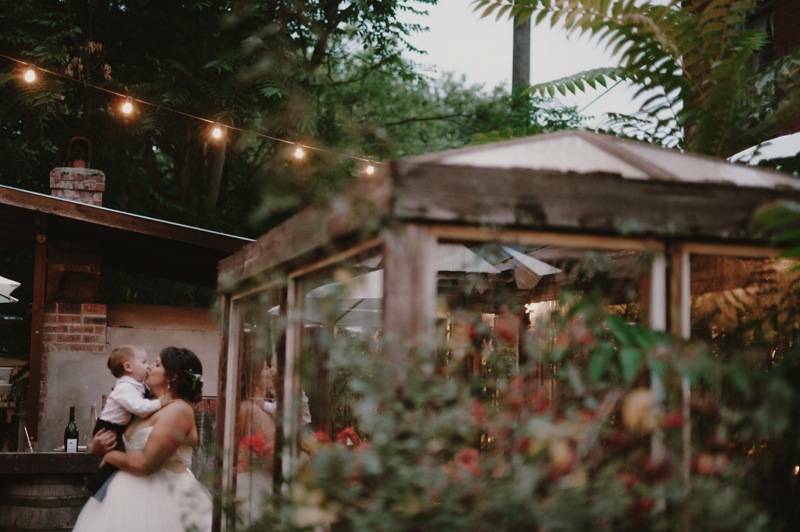 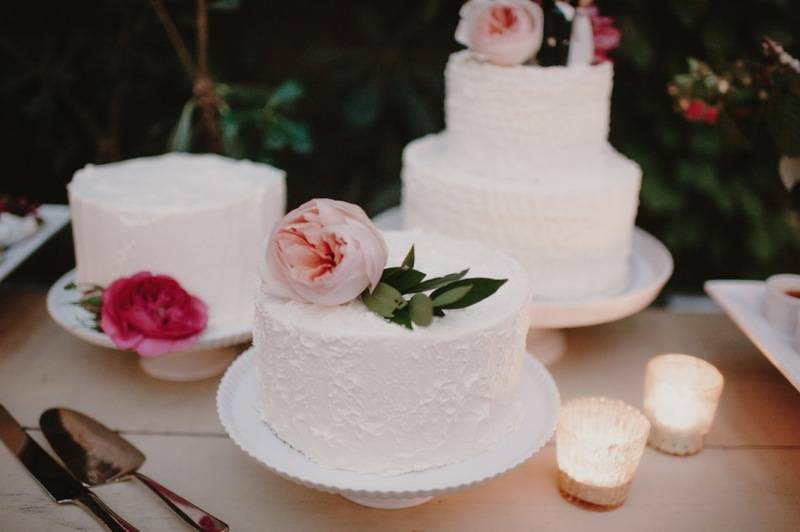 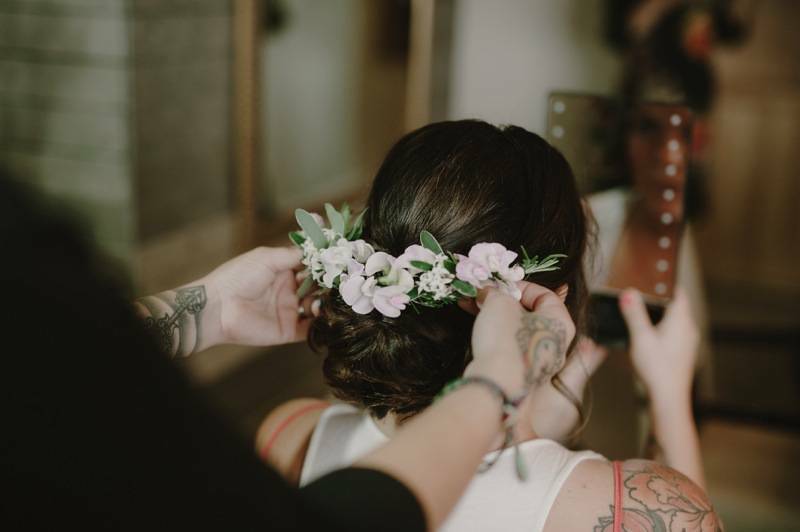 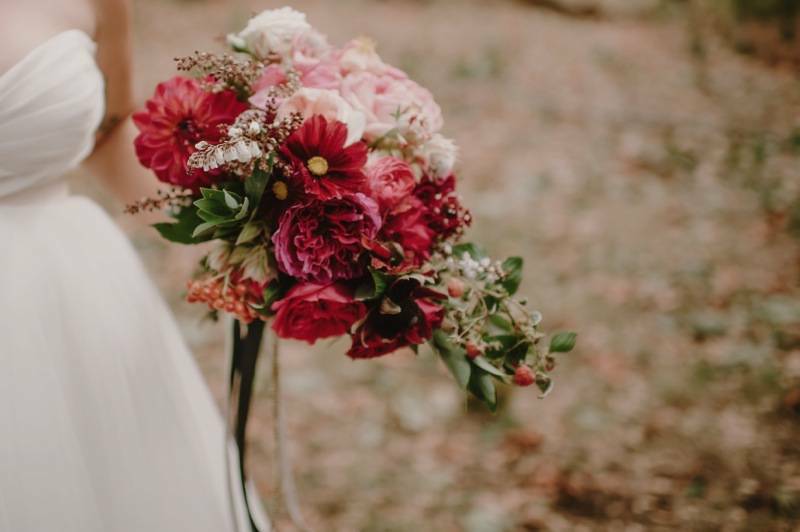 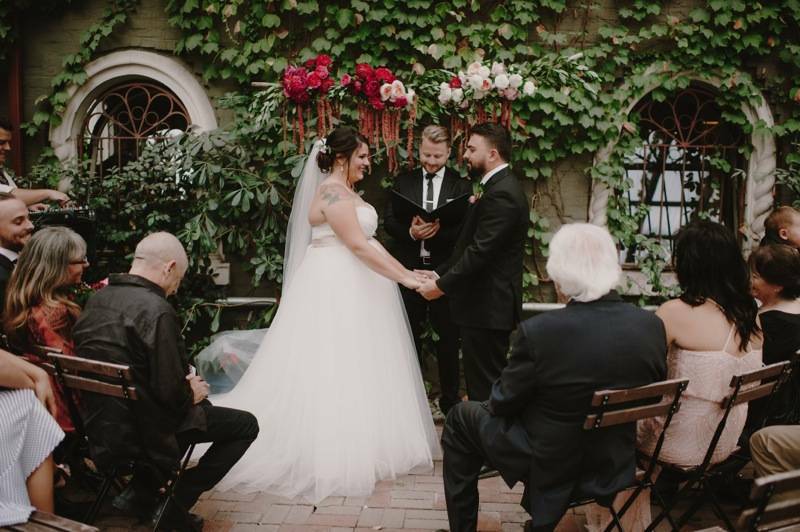 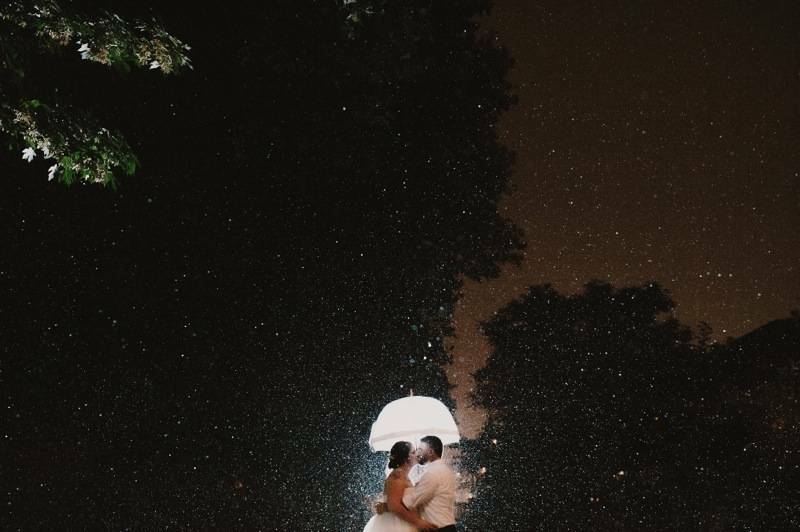 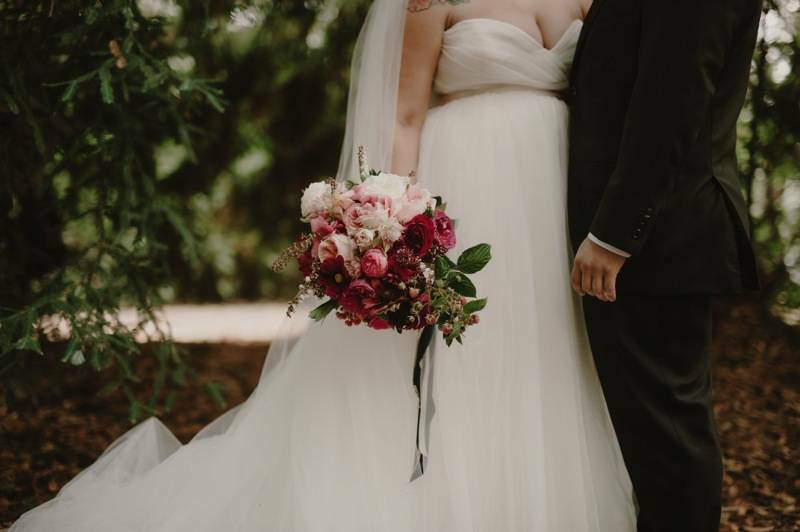 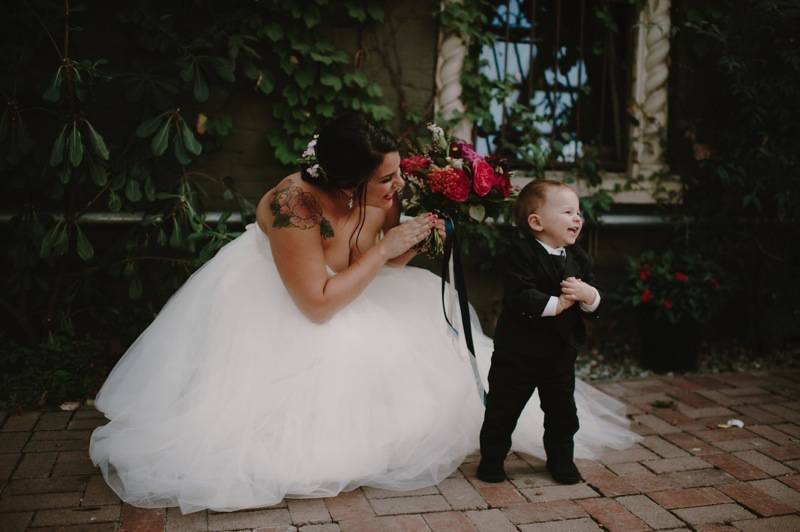 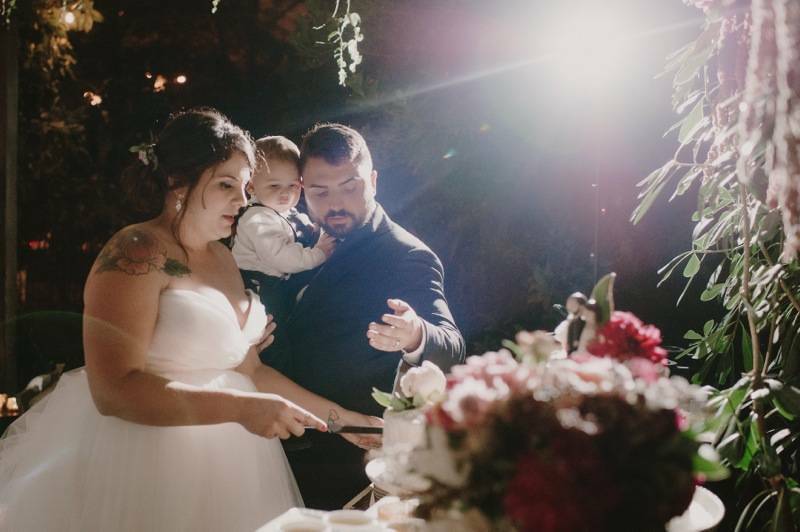 It was a stressful setup but the end result was glamorous and beautiful as the couple celebrated their evening ceremony and reception during a serendipitous break in the weather and photographer Kristen Marie Parker captured the festive mood perfectly.